I am writing to thank you for your magnificent support in the continuing strike action against Arriva Rail North and their continuing threat to safety, security and access on their trains through the wholesale rolling out of DOO. The action has recently forced the company back to the negotiating table, after months of no talks and silence from the management side. The company has presented the talks as a way forward in resolving this dispute. They could have been but the company continues to refuse point blank to withdraw their plans to run at least 50% of trains without a guard. Indeed it transpires that previously they had indicated that they have plans to extend Driver Only Operation to all but a small portion of the franchise. The company position, which they know full well is the root cause of the current dispute, has not shifted an inch, in fact it has hardened. They are not interested in talks around the principle of the guard guarantee, the core of the successful negotiations elsewhere, but only appear to be prepared to talk on a "take it or leave it" basis. This makes a complete mockery of the talks process. I understand that the company has now communicated that in the recent round of ACAS talks the union has said one thing but done something else. That is totally incorrect and the company knows it. 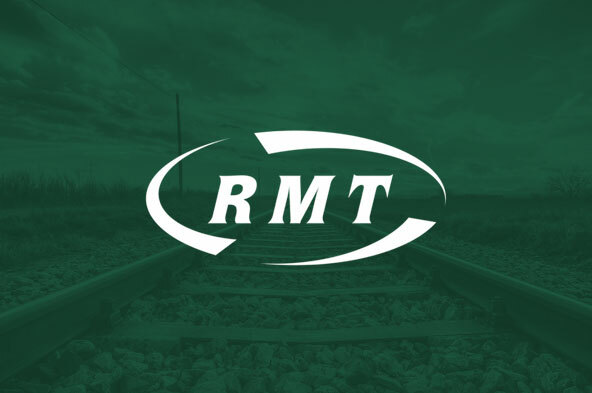 The union agreed a standard procedure with ACAS that both the RMT and the company would not disclose line by line the talks discussed under their auspices. However, we can say loud and clear that the union has been consistent in our approach and we have vigorously pursued our policy of retaining the second safety critical guard on Arriva Rail North trains as an absolute red line. Unfortunately the company approach has been to oppose the best practice agreed elsewhere in the industry. It is crystal clear that ARN wants to run trains without a second safety critical guard and if a train has a second person on that person will not be involved in the important role of train dispatch. The company believes that the train driver should undertake all train dispatch. The company has even gone so far as to draft the required rule changes to allow that to happen. 1. Will the company withdraw their plans to run at least 50% of trains without a guard? 2. Will the company withdraw its plans to extend DOO to the remaining franchise area? 3. Will the company publish its draft competency and rule changes? The company needs to come clean rather than trying to blame the union for the failure of the talks. They have known from day one our position. We now know what their position is and are sharing it with you. Their misleading communications are deliberately provocative and do nothing to assist us in resolving this dispute. This fight is to keep our trains safe, secure and accessible. It is about putting public safety before company profit and has been right from the start. That is not Arriva Rail North’s position - they are seeking a free hand to extend DOO right across the franchise. It is ARN's position that is out of kilter with the best practice being adopted elsewhere in the industry through genuine discussion and negotiations with your trade union. It is down to the company to now recommence serious talks around the principle of the guard guarantee. Therefore, the four days of strike action due to take place on Saturday 29th September 2018, Saturday 6th October 2018, Saturday 13th October 2018 and Saturday 20th October 2018 remains on. I am sure you and your colleagues will continue to stand shoulder to shoulder this weekend and during the future planed strike dates. I once again would like to thank you and your colleagues for your continued determination, support and solidarity during this dispute. Your principled stance and dedication to safety, accessibility and the public is a true testament to the whole trade union movement.